Kridel On Health - Russell Kridel, MD discusses health care issues that are important to physicians and to patients.Kridel On Health | Russell Kridel, MD discusses health care issues that are important to physicians and to patients. Russell Kridel, MD discusses health care issues that are important to physicians and to patients. It’s nothing short of outrageous! Medical care used to be about getting patients well; there was a one-on-one relationship between the patient and the physician, and the majority of every dollar spent went towards that care. Then the insurance companies decided that instead of providing their part as a bare bones pass through, they could royally profit from their interface and generate multi-million dollar salaries to their CEOs and huge returns to stockholders by taking patients’ dollars, raising rates, co-pays, and deductibles, and then denying to pay for their care. Just a few weeks ago, one of those gouging insurance companies denied reimbursement to one of my patients for a medically necessary reconstructive surgery I performed, because they said the graft I used in that surgery was experimental. It didn’t matter to them that the use of that graft had been in the peer reviewed literature for over twenty years, that the graft used was the preferred graft by 60% of my colleagues by survey, or that one of the companies that manufactured that graft noted that particular graft was used in over 200 patients in the last year alone. The insurance company just basically decided that they didn’t want to fulfill their obligation to pay for a surgery that they had contracted to pay for; a breach of contract and a breach of ethics and fair dealing. But there is nothing fair about the insurance companies: they gobble up physician time with prior authorizations and appeals that are totally unnecessary because by delaying or denying care their cash flow and profits improve. If they truly cared about time sensitive essential and efficient health care delivery, they would be pro-active in making things easier for patients and doctors, because, quite simply delayed care is not only more costly in the long run, but more damaging to the health of patients. Recently, one insurance company tried to cut the reimbursement for a service if performed at the same time as a patient evaluation service. So if I did a biopsy on a patient right after I examined them, which would have been the most efficient way to treat the patient, I would only get half the fee for the biopsy. The only way for me to get my proper reimbursement for that biopsy would be to inconvenience the patient and make them come back on a different day! Thank goodness the AMA leadership intervened with one-on-one talks and got the company to back down. But many don’t realize what routinely happens when insurance companies pay for multiple surgical procedures performed at the same setting; they pay 100% of what they have decided the first procedure is worth, but then only 50% of the next procedure done, and sometimes only 25% of subsequent procedures. So, for example, if I perform a nasal airway surgery and at the same time remove a skin cancer elsewhere on the patient, the insurance company only pays half of the routine fee for the second procedure, leaving the patient at risk for the shortfall. Imagine if you went to the grocery store and bought three items; at the check-out counter you expect to pay the full price for each item. What would happen if you tried negotiating to pay only half for the second item and one fourth for the third grocery item! The clerk at the register would call the manager who would come out and laugh at you and then soundly deny your request! But it gets worse. Insurance companies put some doctors under contract to accept lower fees in exchange for sending patients their way by then making that doctor an “in-network provider.” (Note: insurance companies don’t consider us physicians; they call us “providers,” insulting us by denying our years of training and professionalism. To them we are just commodities.) The insurance companies then tell their policy holder patients that the patient will pay less in their co-pays and deductibles if they visit an “in-network” provider. But if the patients choose to see another doctor, the insurance company will pay that physician less and the patient is responsible for the rest. Sounds good you may think, but what the insurance company does is to pay so little to their in-network doctors that few physicians sign up to be in-network because they lose money and can’t cover their overhead on the payments from the company. Many physicians totally opt out and so the insurance company has created a “narrow network” that severely limits patient choice and may make patients drive many miles to find a doctor in-network especially in certain specialties. By establishing a narrow network, the insurance company often actually makes more money, because they pay the out-of-network doctor even less than their in-network docs, and the patient is left again making up the difference of the doctors fee. Insurance companies cry that they are losing money on some insurance products, but one only needs to look at their published huge reserves and profits made on the backs of patients and physicians, not to even mention their executive salaries. In 2016, Centene’s Michael Neidorff’s total compensation was $22 million; Anthem’s CEO Joseph Swedish was paid $16.5 Million; ; Aetna’s Mark Bertolini took in $18.7 million; United Health’s Stephen Hemsley got $17.8 million; and poor Cigna CEO David Cordani took a pay cut and was only paid $15.3 million (Source: Leslie Small, Fierce Healthcare). If the average family health care insurance bill is $10,000 a year, the salary paid to Bertolini alone would have paid the premium for 1800 families. These companies are making every effort to drive profits higher. They are moving to consolidate their industry and create monopolies that decrease patient choice and physician reimbursement and increase policy prices for patients. The AMA was instrumental in convincing the Justice Department to stop the planned mergers of between Anthem-Cigna and Aetna-Humana. If successful, the mergers would have reduced physician bargaining power to negotiate fair contracts. It is estimated that the Anthem-Cigna merger alone would have resulted in $500 million in reduced physician payments annually. So valid were the points made by the AMA that the judges actually cited the AMA arguments in their decision. But two losses won’t stop the for-profit incentives of companies that want to take an ever-increasing unfair and unearned share out of patient care dollars. More consolidation is on the forefront. A few months ago, the AMA asked Congress to look at the proposed merger between CVS Health and Aetna. The DOJ is now examining a $67 billion dollar acquisition by Cigna of pharmacy benefit manager Express Scripts. In fact, according to Healthcare Dive, more than 200 health care deals representing $72.6 billion were announced in just the first quarter of 2018. Big business may expand an economy, but not rightfully so in healthcare, where every profit taken out of limited health care dollars bites physicians and harms patients. STAY TUNED for Part II: The Pharmaceutical Industry and the Pharmacy Benefit Managers. Houston Facial Plastic Surgeon, Russell Kridel, MD, is currently a member of the AMA Board of Trustees. 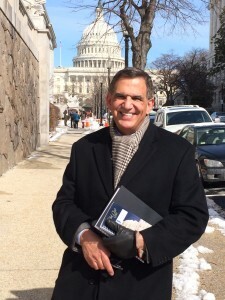 Any views expressed on this blog should be considered personal views of Dr. Kridel and are not official statements of AMA policy (which is set by the AMA House of Delegates) nor are they official descriptions of actions of the AMA Board of Trustees. The CDC estimates that 115 people die each day from an overdose of opioids. In the last 15 years that translates to over ½ million people. This includes legal drugs prescribed to treat pain, and illegal drugs such as street heroin and the synthetic opioids. There has been a 72% increase in deaths from the synthetic fetanyls (a type of opioid) smuggled in from China and Mexico, way surpassing the deaths from legal prescriptions. Physicians have taken a lot of heat from politicians blaming us for writing too many prescriptions and for too many pills that then get diverted; we all know it wasn’t long ago that we were blamed for not adequately treating pain as it became a fifth vital sign in hospitals. There is a middle ground and we do have a vital role to play in all our practices to be leaders in reversing this national epidemic. I was convinced that doctors could take a lead to stem this epidemic starting in their own offices. Therefore, I personally convened a study in my practice, and added a few other doctor practices, and our results1 were just recently published in JAMA Facial Plastic Surgery. * By examining how many pills we routinely wrote for patients after a nasal surgery and comparing that to the average actually used and needed by our patients, we were able to prescribe many fewer pills than before and still keep the majority of our patients pain free. We now prescribe one half the number of pills we did before, so there is less chance for any diversion occurring in patients’ homes by friends or relatives or by selling unused meds on the street. There are many other areas in which we as physicians can help. We can talk to patients about disposing of unused medications and about locking up controlled substance meds in their homes. We can go online with our state Prescription Drug Monitoring Programs (PDMP) and check to see if any of our patients are getting unneeded opioids from other physicians before we add another prescription to the mix. We can use non-opioid medications instead when pain is less severe or chronic. We can take additional training on safe opioid prescribing. We can lobby for payment for multi-disciplinary pain care and substance abuse. And the government needs to stop the smuggling of street opioids into this country. 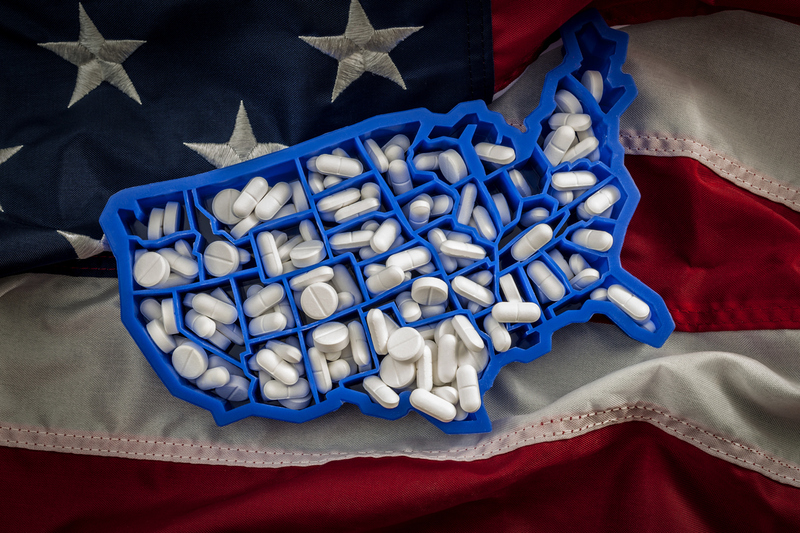 Opioids have come to the forefront recently, but we as physicians also know there are many other epidemics that still need to be in the public and governmental spotlight. For instance, the still number one preventable cancer with most lives lost per year (eclipsing opioid deaths) is lung cancer, with tobacco and smoking as the culprits. An old subject, but still a major social problem and killer. * The full text of “Opioid Use by Patients After Rhinoplasty;” Sagar, Patel, MD; Michael Bobian, MD; Peter F. Syider, MD; Giancarlo Zuiliano, MD; Russell Kridel, MD, can be found in JAMA Facial Plast Surg. 2018;20(1):24-30. doi:10.1001/jamafacial.2017.1034. A recent research study by Sara N. Bleich, PhD, et al at Johns Hopkins Bloomberg School of Public Health shows that simple signs that link exercise to sugar-sweetened beverage consumption does help teens make healthier choices. Fortunately, this study was picked up by multiple media outlets noted below, adding needed exposure to the detrimental effects of sugar-sweetened beverages. CNN (10/16, Wilson) reports, while “more than 20 chain restaurants will be posting calorie counts on their menus” by next year, the research suggests “the number of calories in a food or beverage item doesn’t mean much to many folks.” However, showing people how much physical activity is needed to burn those same calories makes a difference. In Harris County, the HCMS “Shut Out Sugar” Program, takes a similar approach, using local landmarks as examples of distances to run to burn off calories consumed by sugar sweetened beverages. 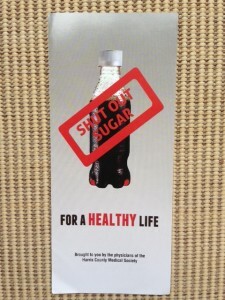 You can read more about the “Shut Out Sugar” campaign at sugarshutout.org or a previous KridelOnHealth.com post. Another positive step in addressing personal responsibility is the fact that several restaurant chains have not only begun to post calorie counts, but some have also started to show people how much physical activity is needed to burn those same calories. The more exposure this topic gets the greater the impact on the fight against obesity. Houston facial plastic surgeon, Russell Kridel, MD, is currently a member of the AMA Board of Trustees and the immediate past chair of the AMA Council on Science and Public Health. Any views expressed on this blog should be considered personal views of Dr. Kridel and are not official statements of AMA policy (which is set by the AMA House of Delegates) nor are they official descriptions of actions of the AMA Board of Trustees. It was nice to see the October 16th LA Times article recognize the heroic efforts of Doctors without Borders in the fight against the spread of Ebola. There has been so much news focus on issues relating to the consequences of the disease, such as the latest patient to be diagnosed or restrictions on travel, that we have taken our eye off of the need to support those doctors and healthcare workers on the front line in West Africa at Ground Zero. To stop the epidemic here we must stop the epidemic there. As physicians and healthcare professionals, we often face life-threatening situations in our practices. 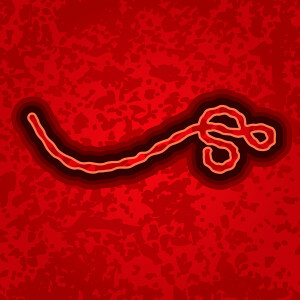 But, to place yourself into a hot zone, like what is seen in West Africa as well as in hospitals here in the U.S., and risk your life every minute of every day to help treat patients with Ebola, as well as develop techniques to prevent it, is exceptional. I am humbled by their bravery. For all of us not getting on a plane this moment to enlist in the fight, there are actions we take. We can help support Doctors Without Borders or others, such as the CDC Foundation. These organizations need supplies, such as; gloves, gowns, suits and masks for their own protection. And they need medications, such as; saline, oxygen and antibiotics for the patients. All this costs money. Through letters and phone calls, we can also encourage our government representatives to take a leadership position in addressing Ebola through financial aid, troops, public health service providers, as well as, enlisting other nations support. We can be informed, so we can can inform our patients and others. 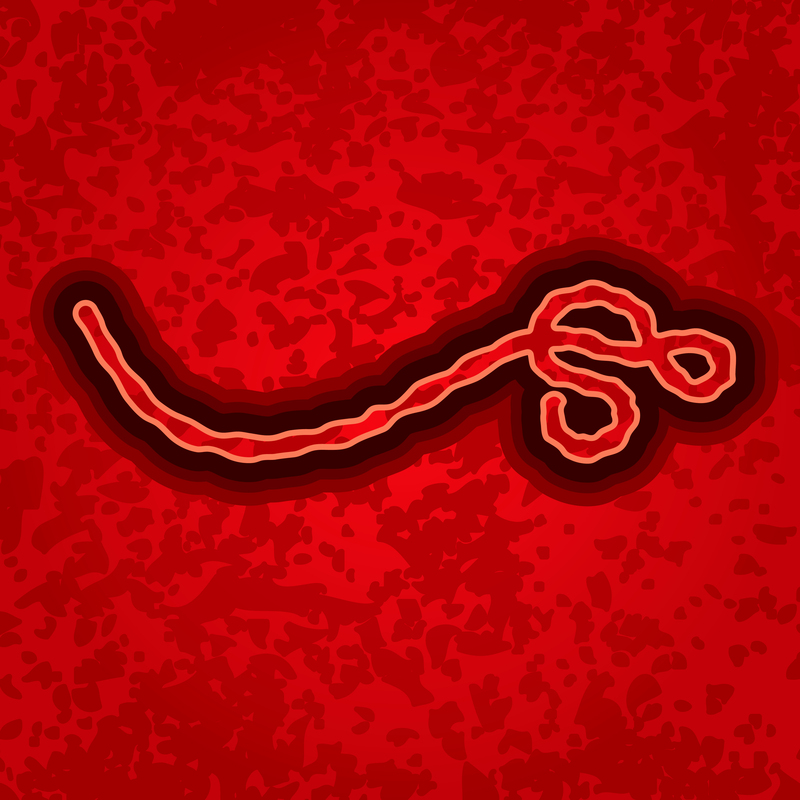 There is an Ebola Resource Center on the AMA website that is a good reference tool. Whether a donation or other charitable action is in part due to self-interest, that we do not want the virus to spread rampantly here in the U.S. Or, in part due to guilt, that we aren’t one of the doctors or healthcare workers on the ground. Or, in part out of compassion, to help avert a preventable medical disaster. The reason does not matter. 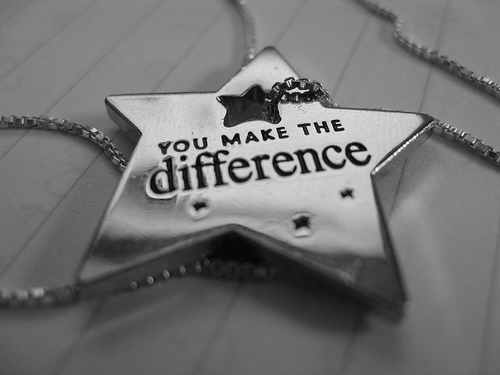 Because, in a fight like this every dollar, every volunteer hour, every letter and every phone call counts. The 33 page letter sent to the Federal Drug Administration (FDA) last week was submitted by the group representing 29 states and proposed tougher restrictions on matters such as, marketing of e-cigarettes, characterization of flavors and sale of tobacco products (including e-cigarettes) over the Internet. These restrictions are tougher than those proposed by the FDA in April of this year. Also, over the past two weeks, several members of Congress also sent a letter to the FDA calling for restrictions on marketing to children, flavored e-cigarettes and online sales. 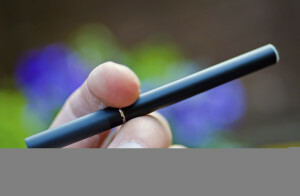 Numerous other groups, including the AMA, have called for greater restrictions prior to the recent end of the FDA public comment period on the e-cigarette restrictions proposed in April. However, e-cigarette proponents, including tobacco companies, are also bombarding the FDA to stop them from adding restrictions, claiming — erroneously — that e-cigarettes have health benefits (for example, help with smoking cessation). While the FDA proposed restrictions in April are a first step toward regulation of the burgeoning e-cigarette industry, we need to keep the pedal to the metal on this issue to pressure the legislature and the FDA to implement greater restrictions on e-cigarettes as a matter important to public health and safety. We need to have our voice heard over the intense clout of the e-cigarette industry. There is virtually no scientific evidence that E-cigarette use is safe and harmless. On the contrary. The March, 2014 article in the New York Times, “Selling a Poison by the Barrel”, highlighted the fact that the “e-liquids” used as the key ingredient in e-cigarettes is a powerful neurotoxin. This liquid is nicotine in its potent, liquid form and it is easy to obtain with virtually no restrictions. Tiny amounts, such as a teaspoon, of even highly diluted e-liquid can kill a small child. And the fact that this liquid can be flavored and colored raises many alarms about the use and abuse of the substance by children. E-cigarette use among high school students in the U.S. more than doubled from 4.7% in 2011 to 10% in 2012, according to the Centers for Disease Control and Prevention’s National Youth Tobacco Survey. At least 160,000 students who never tried traditional cigarettes, used e-cigarettes. Unlike nicotine gums and patches, e-cigarettes, as well as their ingredients, are NOT regulated. The Food and Drug Administration has yet to impose rules on e-liquids’ sale. 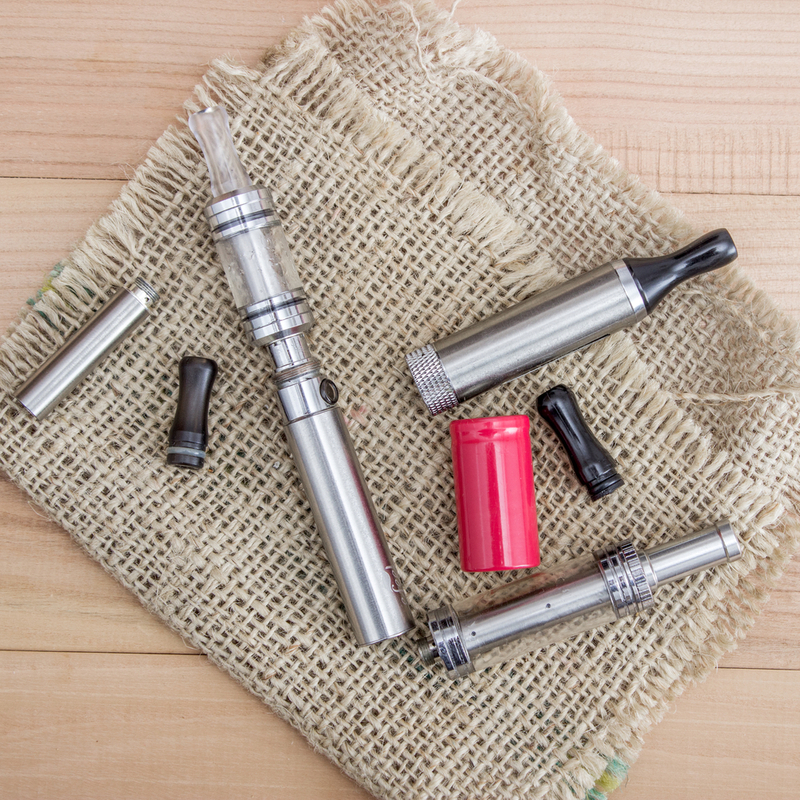 Without regulations, it continues to be the Wild West for e-cigarette companies. They continue to roll out more brands in many different varieties and flavors and advertise heavily on high profile television shows, like the Super Bowl. 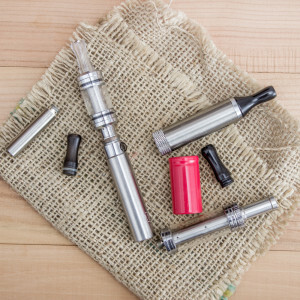 E-cigarettes be classified as (nicotine) drug delivery devices and should be subject to FDA 49 regulation with appropriate standards for identity, strength, purity, packaging, and labeling with instructions and contraindications for use, including age of the user. E-cigarette Regulation is needed — now! Prohibition of unsupported marketing claims as a tobacco cessation tool. Further development of strategies to prevent marketing of electronic cigarettes and nicotine delivery systems to minors and stem the negative health effects of nicotine on minors. As the debate rages on, big tobacco investors are buying up e-cigarette companies. The are now more than 100 e-cigarette companies jockeying for market share of both smokers and non-smokers. As stated in the May, 2014 article published in Scientific American, “Smoke Screen: Are E-cigarettes safe?” — the success of all these companies rests on the claim that e-cigarettes are healthier than traditional cigarettes. And, that simply has not been proven. Something has to be done now, before the ship has sailed too far down what is now an open channel. The government needs to pass legislation regarding the sale and consumption of e-cigarettes. And, the FDA needs to step in and put regulations into place to protect the safety of public health including imposing rules on the sale of e-liquid. Part of the cost control contemplated in the Affordable Care Act (ACA) is holding physicians accountable for cost and quality. But how can physicians be held accountable for non-compliant patients or patients who do not take responsibility for their own health? 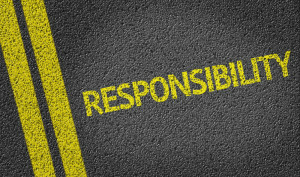 Personal responsibility and healthcare costs are inextricably linked. It is estimated that more than half of our health care expenditures are for self-induced medical problems. Smoking, drug and alcohol addiction, lack of exercise, noncompliance with prescribed medical treatment plans, and lack of caution to prevent potential injuries, all add billions of dollars to medical costs yearly. Obesity alone has taken on epidemic proportions, with the United States spending $174 billion a year to treat diabetes, and at least $147 billion on health problems related to overweight and obesity. Tobacco still costs this nation more than $150 billion a year. According to the Centers for Disease Control and Prevention (CDC), nearly 75 percent of Americans report they do not always take their medications as directed; one in three never fill their prescriptions; and proper adherence approaches only 50 to 65 percent in patients with chronic conditions, such as diabetes and hypertension An article in the New England Journal of Medicine (NEJM) reported that poor medication adherence contributes significantly to medication-related hospital admissions in the United States, at an estimated cost of at least $100 billion annually. Lifestyle behaviors are difficult to change, and solutions to effect behavioral modification have been largely unsuccessful to date, despite huge community efforts and even legislation. 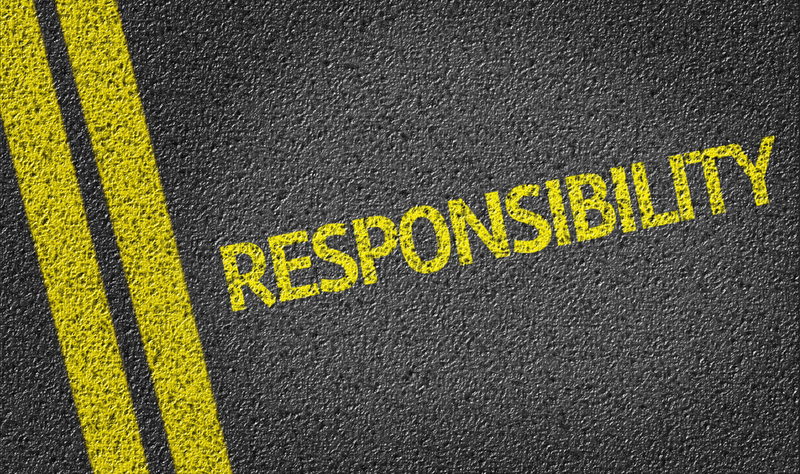 Some patients have developed a sense of entitlement of care, taking no responsibility for abusing their health but expecting every conceivable means of treatment be used to cure them, no matter the expense. They, in turn, blame the health care delivery system for its high costs. This is unfortunate, since there likely would be more than enough money in our health care system to help patients with illnesses that could not be prevented if the rest of our population practiced healthy living. Other patients would like to change but need to be taught what to do. Others face economic and cultural obstacles that prevent wellness, which we must address. As physicians, no matter what our specialty, we do have a strong role to play in every one of our patient encounters, because if we don’t discuss healthy living with our patients, who will? Only the individualized approach will work along with peer and affinity group influence. We physicians alone cannot accomplish this. We need the collaborative effort of community, parents, schools, hospitals, insurance companies and businesses. As physicians we cannot view the future of medicine and the role we have to play by looking through the rear view mirror of yesterday. The view ahead belongs to those who face the fact of change, grab the wheel and move forward to shape it. And change is here, often obstructing our progress forward and causing many detours, which frustrates physicians as we try to provide the best care for our patients and advance science. We used to be solely in the driver’s seat, helping our patients arrive at healthy destinations. But now, the person paying for the gas is no longer the patient, having been replaced by the government and third-party payers; they used to be just back seat drivers, annoyingly telling us where to make our turns. But more recently, they have made passengers of physicians; and they are behind the wheel. Unfortunately for patients and physicians alike, they don’t have a license and haven’t even had drivers’ education. 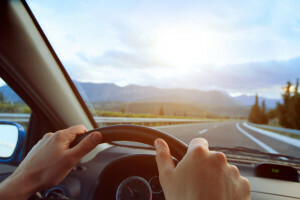 Your leaders in organized medicine will be working harder than ever to put you back in the driver’s seat to lead the health care car safely in the right direction. As leaders in medicine, we need to engage and work with all parties in our efforts to improve our healthcare system for the greater good. However, we cannot leave our patients’ destiny and that of medicine in the hands of others. Physicians may not be able to reform our health care system overnight, but we must prevent the health care system from destroying medicine. Remember that our patients look to physicians as trusted leaders for health care solutions, not to the government. Russell Kridel MD is a Houston-based Facial Plastic & Reconstructive Surgeon in private practice in the Texas Medical Center. He is also currently the Chair of the AMA Council on Science and Public Health (CSAPH) which provides information and recommendations on medical, scientific, and public health issues which are published in their entirety here. This past year, fighting the burgeoning regulatory burdens and government red tape that contract the time physicians can spend with patients, was one of the top priorities of the Harris County Medical Society during my tenure as president. We spent substantial time educating our U.S. 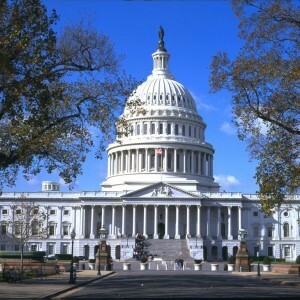 Congressmen and Texas Legislators about the accumulation of compliance issues that are overwhelming physicians’ offices. They all seemed receptive, but Representatives Brady and Poe have particularly embraced our causes. The opening of health insurance marketplaces and all the new rules and regulations under the Affordable Care Act (ACA) have increased our challenges. Physicians are right in the center of the paths of multiple, colliding fronts in the form of more federal and state regulatory requirements. Physicians are caring for patients and managing the piles of paperwork that the government and other healthcare organizations and executives have created for them. Doctors are now consumed with checking boxes, implementing EMRs and transitioning to a new coding system for billing—all while seeing increasing patient loads and meeting increasingly steep clinical demands. 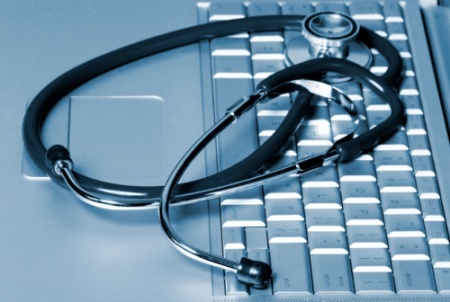 U.S. physicians commit about 20 percent of their time to administrative tasks and the number is growing. Wouldn’t that time be better spent delivering health care? In 1997, Congress created the Sustainable Growth Rate (SGR), a system that pegged the amount of money budgeted for Medicare payments to projected growth of the economy. However, in just a few short years, health-care costs far outpaced economic growth, which created a multi-billion dollar shortfall in funding for Medicare payments. Since 2003, Congress has approved “doc fix” bills that appropriate more money to Medicare funding in order to avoid cuts in the Medicare reimbursement rates for doctors. Recently, Congress passed a ‘doc fix’ bill for the 17th time in 11 years. In essence, kicking the can down the road once again. The Medicare Sustainable Growth Rate (SGR) payment system to physicians was never sustainable, never a growth rate and always unfairly discriminatory against physicians. How physicians have been able to keep their doors open to Medicare patients for so long while under a 13-year price freeze when practice expenses have skyrocketed is only answerable by the altruism and personal commitment that doctors have for their patients. The problem going forward with Congressional compromise and wheeler-dealer arrangements in replacing the SGR is simply that future reimbursements may be based on compliance requirements and so-called quality measures that have unproven clinical relevance and may be more costly than helpful. It is laudable that when Congress passed the Medicare Act (Title XVIII) in the 1960s, the original language specifically said: “Nothing in this title shall be construed to authorize any Federal officer or employee to exercise any supervision or control over the practice of medicine or the manner in which medical services are provided, or over the selection, tenure, or compensation of any officer or employee.” It is distressing to see the absolute disregard of that principle as Congress and the Executive Branch take every opportunity to interpose themselves between the patient and the doctor. 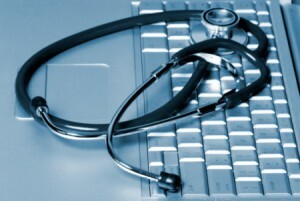 Those who have neither a license to practice medicine nor the education to deliver medical care seem to take pleasure in the erosion of physician autonomy and medical decisions, which should be based on the individual needs of the patient rather than on a bureaucratic practice or cost parameter. While progress has been made in reaching a bipartisan agreement to repeal the Sustainable Growth Rate (SGR), Congress must continue to work to resolve outstanding issues. Congress needs to treat physicians fairly and stop undervaluing our needed services to patients. And we, as physicians, need to continue to fight, to be vocal and to take a leadership role in SGR reform. Dr. Russell Kridel is a Houston-based Facial Plastic Surgeon in private practice in the Texas Medical Center. 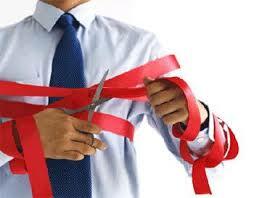 Click here for additional comments on SGR and government red tape from one of Dr. Kridel’s HCMS president’s editorial.